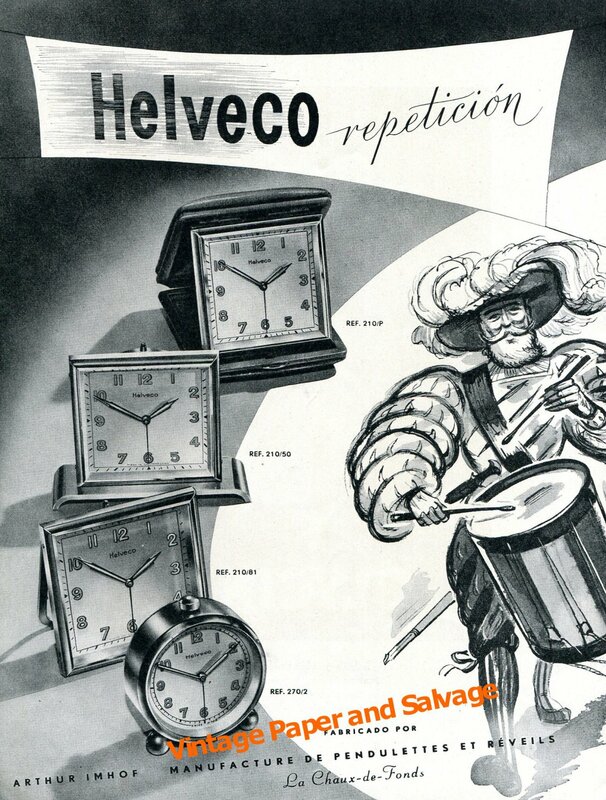 Original Swiss magazine advertisement from the year 1948 for Helveco clocks, manufactured by Arthur Imhof, La Chaux-de-Fonds, Switzerland (Helveco, Arthur Imhof Manufacture de Pendulette et Reveils, La Chaux-de-Fonds, Suisse). The advertisement was carefully removed from a Swiss magazine. The ad measures approximately 7 5/8 inches wide by 10 1/4 inches high (including margins, if any). Please note: There are some small bends on the ad.